This post is co-authored by Marcus Conyers who, with Donna Wilson, is co-developer of the M.S. and Ed.S. Brain-Based Teaching degree programs at Nova Southeastern University. They have written several books, including Five Big Ideas for Effective Teaching: Connecting Mind, Brain, and Education Research to Classroom Practice. Explicitly teaching students about neuroplasticity can have a transformative impact in the classroom. A central facet of our work as teacher educators is teaching about how the brain changes during learning. Many teachers have told us that these findings have had a positive effect on their expectations for their students and on students' perceptions of their own abilities. 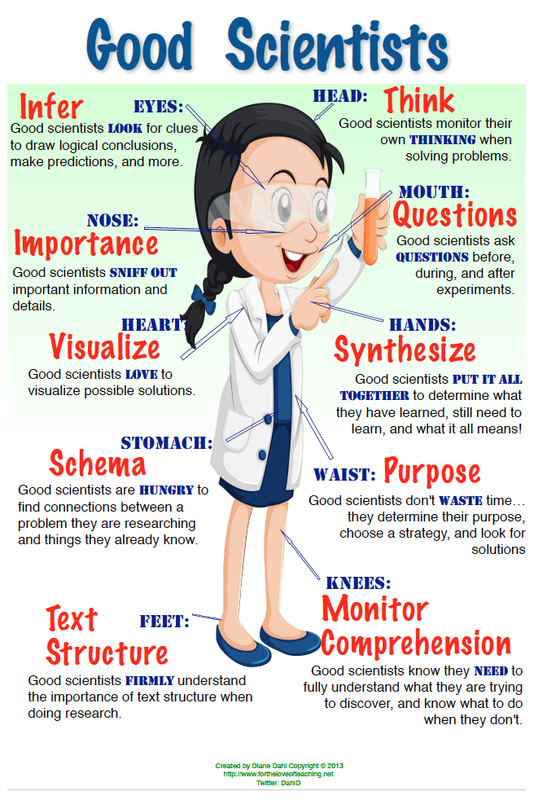 Lessons on discoveries that learning changes the structure and function of the brain can engage students, especially when combined with explicit instruction on the use of cognitive and metacognitive strategies that guide them to learn how to learn (Wilson & Conyers, 2013). Using these strategies effectively produces learning gains, which motivate students to take charge of their learning, which leads to further academic success and may have the additional benefit of alleviating classroom management issues. When students see this process as changing their own brains, the result is a powerful and positive cycle. The force behind this cycle is students' belief that they can get smarter through study and practice, which enhances their commitment to persist in the hard work that learning sometimes requires. Nisbett (2009) reports on classroom research involving seventh graders who were taught that learning changes the brain and that intelligence is expandable. Students in this experimental group did better on math tests than peers who did not receive that instruction. The same dynamic of persisting to succeed applies to teaching. Keeping the idea of brain plasticity at the forefront of your professional practice offers a constant reminder than when students struggle with lessons, it isn't because they can't learn, but because they need more practice and instructional support. Lessons and activities about the power of brain plasticity can take many forms for students of all ages, as the following examples demonstrate. Remind students that they "drive" their own brains, and teach them useful learning strategies. Second grade teacher Donna Garland leads her students in daily exercises to practice cognitive and metacognitive strategies that they can use in learning all their core subjects. Students' desks are decorated with colorful "brain car" cartoons as reminders that they are in charge of their learning. Make these lessons a BIG deal. Nichole Galinkin designed a literature-based cognitive skills program she calls "Brains In Gear (BIG): Big Secrets for Thinking and Learning" for the K-3 students in her exceptional education classes. Children explore picture books that reinforce thinking skills, engage in role playing, and talk to teachers, aides and volunteers about how they benefit from thinking about their thinking. "What I enjoy most of all is listening to the kids as they remind themselves of a catch phrase or a strategy and hearing them share those strategies with others," Ms. Galinkin says. "It's great to actually see them using the information they're learning." Have a ready answer to the question, "Why do we practice so much?" For example, here's a great story about neuroscientists investigating how learning affects the brain. Medical researchers were fascinated with how veteran cab drivers could navigate the busy streets of London so effortlessly and remember all the shortcuts without consulting a map. So they did brain scans and discovered that the cabbies' hippocampal areas, the part of the brain associated with spatial reasoning, were larger than those of other adults. All those years of driving and remembering routes had literally changed their brains. Studies of musicians have found similar results of the impact of practice, practice and more practice. 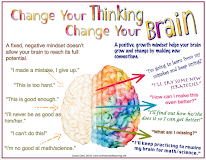 Encourage older students to make the most of their brain plasticity, too. By the time high school students make it to Jeremy Green’s AP psychology and U.S. history classes, some seem convinced that their academic shortcomings are innate and permanent. They are resigned to "making do" in their struggles with reading high-level texts, the most common problem Mr. Green encounters among his students. With the goal of dispelling the misconception that "you're stuck where you are," Mr. Green begins the school year by sharing a presentation titled "Your Brain Is Amazing." He reinforces that message throughout the school year by teaching cognitive strategies alongside core content, such as explicit instruction on the organizational skills that students will need to complete a research project, and tricks for puzzling out the meaning of unfamiliar terms. The same message applies to the football players he coaches: "You're either going to get worse or better, but nobody's going to stay the same." "Our role as teachers and coaches is to sell them on the idea that they can get better. If we improve, we win -- period," Mr. Green adds. "We talk about this on the first day of class -- how you're not just what you are today, and that hard work really matters." How do you engage your students in learning how to learn? Hinton, C., Fischer, K. W., & Glennon, C. Students at the Center: Mind, Brain, and Education [Executive Summary], March 2012. Nisbett, R. Intelligence and How to Get It: Why Schools and Cultures Count. New York, NY: Norton, 2009. Wilson, D. L., & Conyers, M. A. Five Big Ideas for Effective Teaching: Connecting Mind, Brain, and Education Research to Classroom Practice. New York, NY: Teachers College Press, 2013. This is a very interesting topic. You have several great ideas of how to educate our students and increase student achievement. I am a graduate student at the University of South Alabama and I am following your blog this week as part of my EDM510 technology class. Each week I am assigned different teachers and I am summarizing all of my comments on my class blog on 3/4. Feel free to visit the class blog EDM 510 Class Blog, my personal blog Anastasia Martin EDM 510 Blog or follow me on twitter @anastasia5360. I am, also, a student with the University of South Alabama, in the course of Edm310. I find this topic of neuroplasticity quite interesting and how this knowledge can teach us how to help students focus better in the classroom. The subtitle of "Going Big" is so true, on how to make the project more appealing. I was really glad my teacher assigned this blog to me, your post are very helpful. My name is Sheridan Jones and I also am a student of the University of South Alabama taking the course EDM310. I can relate to this topic because I had a teacher in high school who did something similar as Mr. Green did in your post. It was a very difficult class but since the teacher took the time at the beginning of the year to engage us students I came out with an A in the course. I try to carry over the same situation and have applied it to every class since then. I will definitely use this approach when I start teaching. 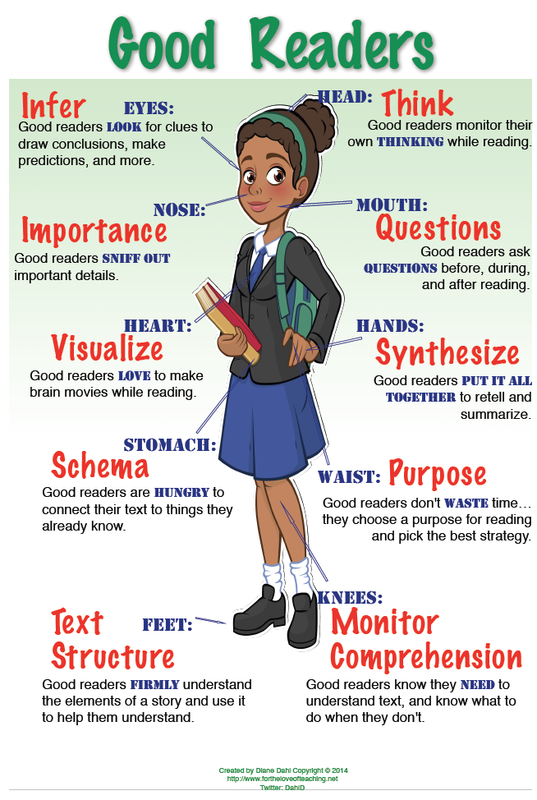 After reading Dahl , along with co-author Marcus Conyers, and Donna Wilson's blog on using brain neuroplasticity, it enhanced a brighter future for today's student; it strengthens their person-learning environment. It builds that positive reinforcement. I can do it! 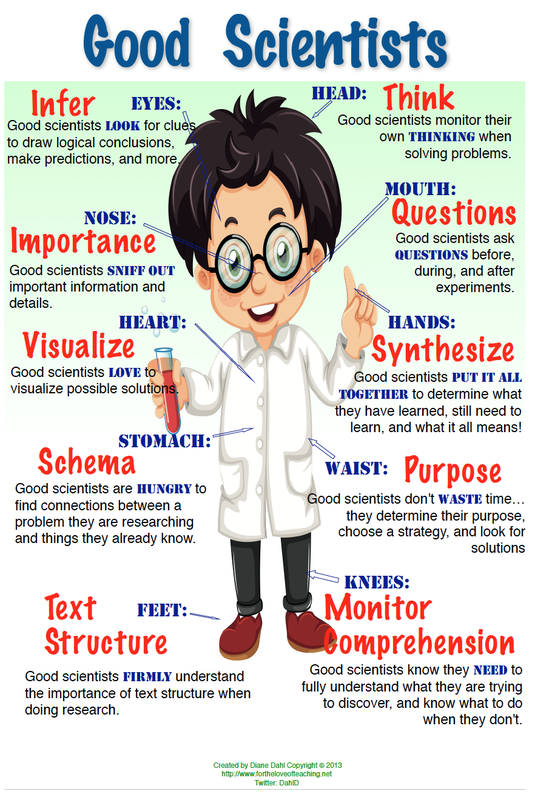 The skills implemented daily will allow the student to grasp, by drawing conclusions. The brain mechanisms facilitate the ideas and regenerate the thought process. 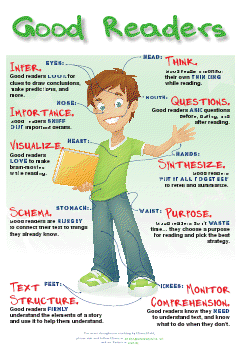 It takes the struggling reader, to integrate making reasonable answers and understanding the concept. I have a better understanding how to get the students engaged in independent learning, especially in small group or independent activities. 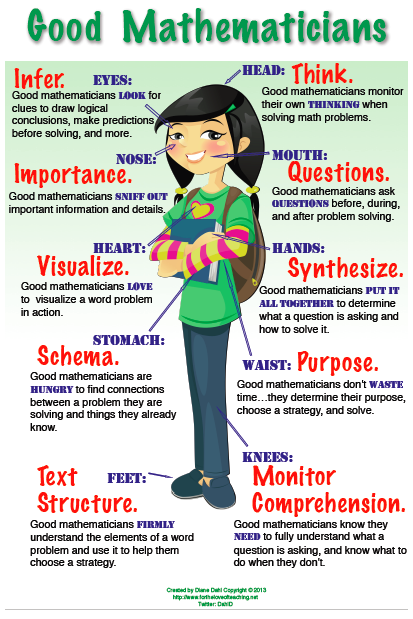 This allows the student to acknowledge the principles of identifying, analyzing, predicting, practice, and cognitive thinking. I am a student at the University of South Alabama. I am enrolled in EDM310. It relates to using connections with technology and brain mechanisms. Both uses the methods of "practice, practice, practice “said by Dahl, to take charge of your own learning. These students use cognitive learning to assist them in strategies if making predictions, conclusions, thinking processes and visualizing the importance of pulling out ideas, to make a connection. These studies have shown the improvement within the classroom. Building connections and analyzing assured the students are consistent on their practice skills. The more engaged the foundation of being able to recognize methods to be confident in their work. I agree explicit teaching instruction increases the students ability to gain more knowledge, engagement, and different ways of learning. The teacher can assess growth of learning, by observing the way a student engages in an activity. The student builds cognitive strategies based on improving their thinking skills. This information allowed me to build and enrich my learning. Hello my name is Aneshia Lewis. I enjoyed reading your post. You have great ideas and strategies. I believe that your post will help me understand how to enhance my students commitment to learning in my future classroom. Diane (Mrs. Dahl), I am delighted to to see your outreach to students who are currently studying to be teachers! We know how you have provided inservice to practicing teachers, but are also aware of how preservice teachers benefit from knowing more about educational neuroscience and brain-based teaching too! Best wishes to you students from the University of South Alabama!